Opportunities for self- expression are given to each and every child through class participation, student presentations, debates & extempore. 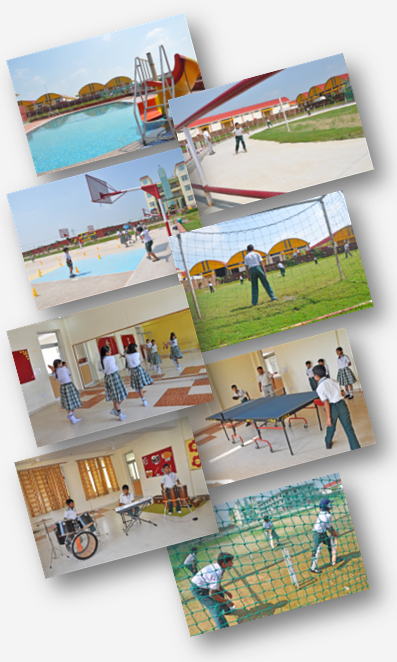 Extra–curricular activity clubs give students the opportunity to perform & excel in one or more of the 7 broad areas of Music, Dance & Dramatics, Fine Arts English/Hindi Debate & Literature, Gymnastics, Indoor Sports, Outdoor Sports while keeping focus on academics. We imbibe a value system, care & concern for each other & a nationalistic attitude.